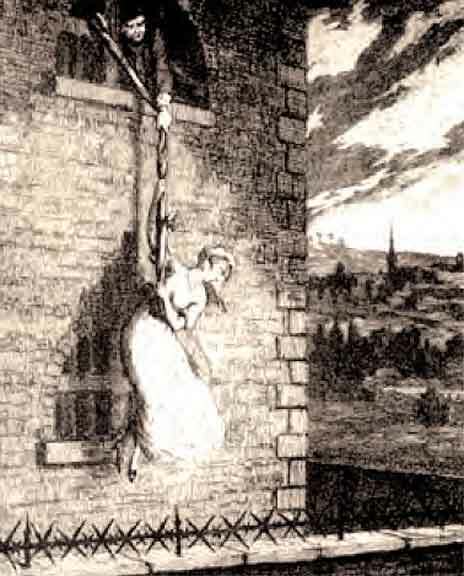 YESTERDAY IN Part 1, 18th-century antihero Jack Sheppard freed his moll Edgworth Bess from the St. Giles’ Bound-house lockup. Today at SimanaitisSays, we find the couple living something resembling an ordinary life. But not for long. It’s an old story: She likes pretty things; he wants to provide them. Only this time, after successive lockups of both, Sheppard becomes an escape artist extraordinaire. As with Part 1, my sources are Sirius XM “Radio Classics” Crime Classics old time radio program “The Incredible History of John Sheppard,” contemporary commentary from Notable British Trials, 1736, and my usual Internet sleuthing. Arrested Twice, Escaped Twice. Jack’s first arrest for burglary came on February 5, 1724, when he was snitched on by his older brother ex-con Tom, a co-conspirator along with Edgworth Bess. Jack’s stay in St. Gile’s lasted less than three hours: He broke through a wooden ceiling and lowered himself to the ground with knotted bedwear. Still wearing irons, Jack joined others and added to the confusion by pointing up and shouting that the escapee could be seen in the roof’s shadows. Then he made himself scarce. Three months later, on May 19, Jack got nicked for pickpocketing. He was detained overnight at St. Ann’s Roundhouse. Edgworth Bess visited him the next day, she got recognized, and both were sent to the Newgate Ward of the New Prison in Clerkwell. In those days, husbands and wives could share a cell; and Jack and Edgworth Bess were spouses, sorta. Edgworth Bess and Jack escape from Newgate Ward, the New Prison of Clerkwell, May 25, 1724. A Third Arrest, a Third Trial, and a Third Escape. Jack’s malfeasances continued to keep Edgworth Bess in the manner to which she wished to be accustomed. He burgled, engaged in small-time highway robbery, and even sunk so low as to break into his old benefactor William Kneebone’s home. However, karma being what it is (and evidently was), crime boss and Jack’s fence Jonathan Wild plied Edgworth Bess with drinks, learned of Jack’s whereabouts, and turned him in for the £40 bounty. Jack’s August 31 escape from Newgate was abetted by Edgworth Bess and another of his molls (with the wonderful name Poll Maggott). They distracted guards while he removed a window bar he had loosened. He was smuggled out in women’s clothing. Newgate Again; Escape Again. Sheppard visited friends in Chipping Warden in Northamptonshire, but the lure of London was strong. On September 9, he was rearrested, returned to Newgate, this time to its Castle, clapped in leg irons and chained to two metal staples in the floor. Jack Sheppard in Newgate Castle. Are we surprised he escaped again? This time, Jack’s escape was complex: Remove the handcuffs, release the chains, remove a bar in the chimney, break through to the room above, work through six barred doors to the prison chapel, and then through to the prison roof. Gad! It’s 60 ft. above ground, and Jack had to go back to his Castle cell to get a blanket. He returned to the roof and used the blanket to reach an adjacent rooftop. 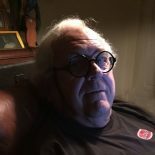 This entry was posted on February 10, 2019 by simanaitissays in And Furthermore... and tagged "Crime Classics" radio program, "Notable British Trials" Horace Bleackley S.M. Ellis (1736), John (Jack) Sheppard English thief escape artist extraordinaire.